A busy weekend of club basketball saw the host UBC Okanagan Heat U15s and U17s both split their four games at the university gymnasium. The U15 Heat opened round-robin play by defeating the Lake City U15s of Penticton 66-53, despite getting off to a slow start. The difference for the winners proved to be their full-court pressure. 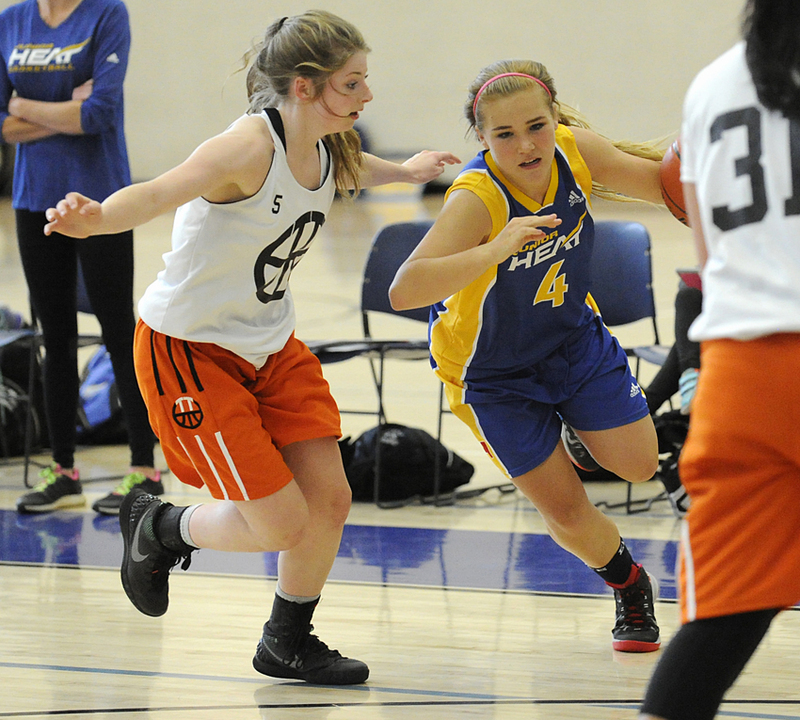 Kassidy Day of the UBCO U15 Junior Heat drives to the basket against Triple Threat. Following the opening game that featured highs and lows and a struggle with consistency, “focus” became the theme for the remainder of the weekend.